BAKERSFIELD, Calif. — Thursday morning was the 39th Annual Bakersfield Prayer Breakfast where more than hundreds of people gathered to pray at the Rabobank Convention Center. The theme this year was "at-risk youth" and the community prayed for leaders of our community, state and nation. “It helps build community, people see people here from every church in town with different denominations, different face and more," said Committee Member Steven Boyle. Every table was filled and local resident, Timi Annmongold says this breakfast is a blessing. The keynote speaker was Teresa Goines, owner of Old Skool Cafe in San Francisco, and she shared her story about what led her to give young at-risk children the hope that they need. Mayor Karen Goh was also present, sharing a prayer for the community. 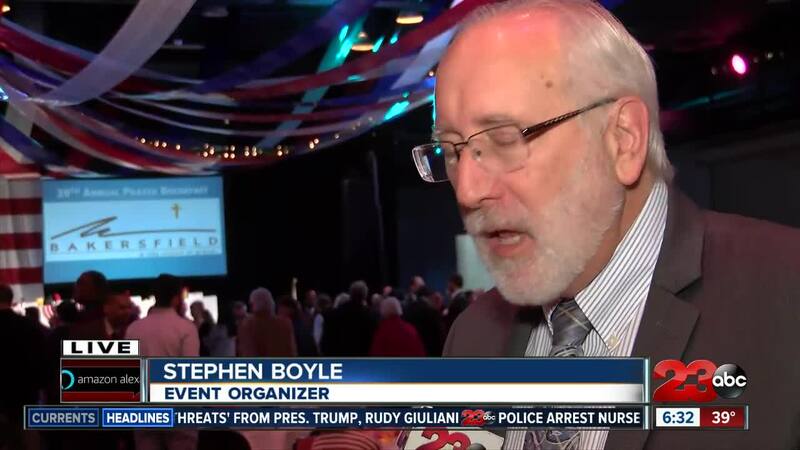 “We do believe that praying for the city offers protection for everyone weather they choose to be a part of the breakfast or not,” said Boyle.